Tenacity was recently featured in HSM outdoors online! 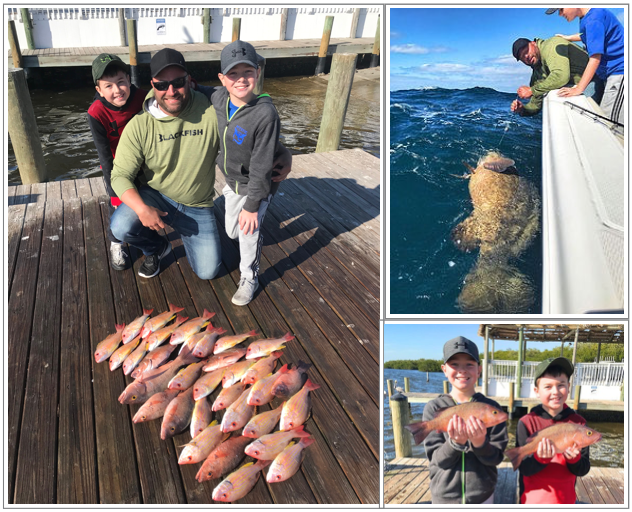 We had the great privilege of fishing Mike Niedzielski and his terrific two boys, Blake & Bryce, on a nearshore fishing adventure! They caught mangrove & lane snapper, and ended the trip with a huge goliath grouper for dad! We really enjoyed having them on the boat – good fishermen and great sports. We were very impressed they drove all the way from Kissimmee that morning and fished in some sporty conditions. Definitely impressed with these boys! We are grateful for the write up and hope to have y’all back on the boat soon!